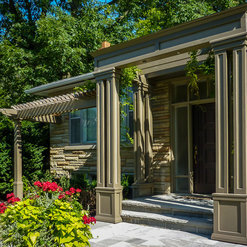 12 Projects for Benchmark Building Services Inc.
13 Reviews for Benchmark Building Services Inc.
Rosario was knowledgeable, professional and did very good work. 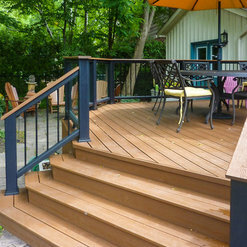 He was totally familiar with the Azec product (decking and railings) which gave me the confidence that we would end up with good work. I would hire him again. 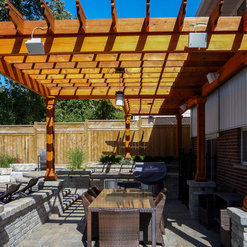 We recently hired Benchmark Building Services to completed a privacy fence / deck project in our backyard, that included custom built outdoor bar (matching the deck) and a separate outdoor kitchen installation. WE COULD NOT BE HAPPIER WITH THE SERVICE AND QUALITY OF THE WORK DONE. 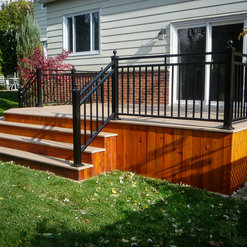 Rosario, from Benchmark Building Services was amazing to work with from start to end. 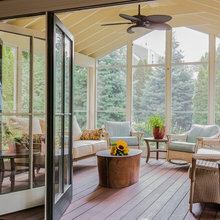 He listened to our vision for a backyard that would have some unique features to make our entertaining area "pop", and he developed a plan that fit within our limited budget. Rosario introduced us to "Trex" as a no maintenance alternative, which we love! 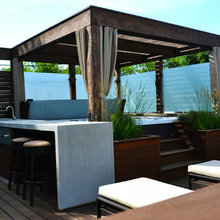 He created a unique custom bar to match the deck and really got creative with an idea for an outdoor chandelier over the kitchen area. Not only is the finished product beautiful with obvious high quality workmanship, equally important I was able to inspect the structural work as the project progressed and so I know that this project was built to last. 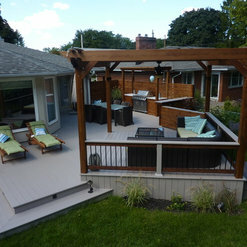 Rosario replaced a rooftop deck for us, and did a superb job. He’s everything you want in a contractor - he told us exactly what he was going to do, his pricing was in line with other quotes we received, he warned us about anything that might concern us, and he was punctual, friendly and responsive in communication as the project progressed. He and his workers keep an immaculately clean job site and his workmanship is solid. Our project came in on-time, and exactly as quoted. We’re delighted with the result and wouldn’t hesitate to hire him again. 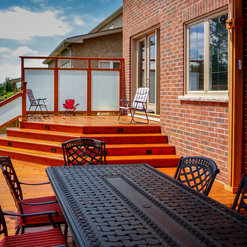 We highly recommend Benchmark Building for other deck or building projects. 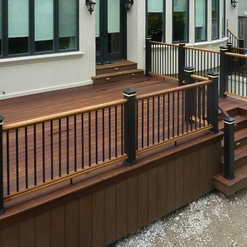 Ross at Benchmark Building Services built a beautiful deck for me. He even made a great suggestion for the railing and produced a curved piece of wood from his own stock which blended beautifully with the original design. Ross is a pleasant, efficient hard worker who goes the extra mile. I would hire his again. I have worked with Ross and Benchmark Building Services for many years now and have recommended him to many of my clients. His workmanship and professionalism is second to none in my opinion. As a manufacturer when I refer a contractor to one of my clients he is a reflection of my company. Ross has never let me down and continues to make me look good. It's always a pleasure working with him. He is one of the few contractors I would use on my own project. Over the last twenty years or so I have hired Mr. Ungaro owner/operator of Benchmark Building Services. For several projects. A kitchen renovation, removal of a wall in our house to allow an open concept, and a complete basement build with a workout area, hot tub, and sauna all in cedar. He has also replaced our fence using 6x6 posts and put in two trex decks. His work ethics are of the highest standards. 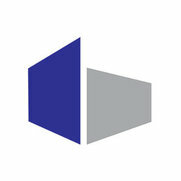 I would endorse and recommend Benchmark Building Services anytime. The next and final project is a main floor bathroom renovation and will once again request the services of Mr. Ungaro. 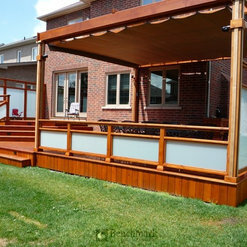 Ross is an excellent carpenter and project manager - he is one of the most knowledgeable outdoor deck and pergola structure specialists out there. 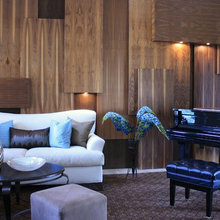 I've brought Ross in on some of our most challenging and demanding projects and always been impressed with the results ! His knowledge of building codes and construction methods / techniques is also equally impressive. 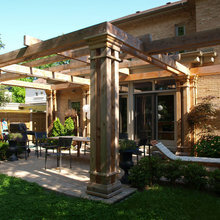 I needed a pergola added to my existing deck and Benchmark did a great job adding it on and making it look as if it was all part of the original structure. 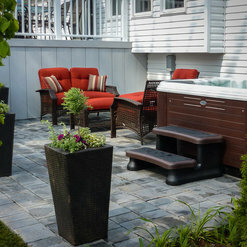 They were detailed in their work, providing ongoing information as well as top quality material and workmanship. They will be called again for any additional work that I need to have done in the future. Ross and I actually met under very unusual circumstances. Back in 2010 I was a contractor building decks, so was Ross. Both of us had signed up with a garden and deck structure promotions company. Ross represented the east end I worked the west. As time went on I got to meet with Ross on several occasions. We even got to collaborate on some winter( indoor) work. I was still relatively young at the time, Ross was an amazing source to have on call. 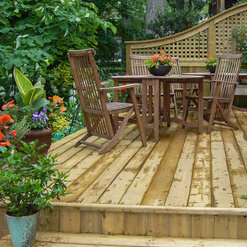 Ross knows a lot about decks, and shared a great deal of his professional and personal experiences with me. Ross is an innovative and trustworthy contractor, worth his weight in gold. 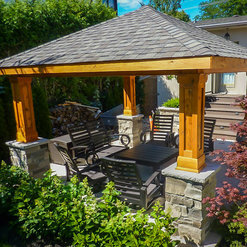 As a professional, I have worked with Benchmark Building Services Inc. for several years now and as such have become very acquainted with both the quality of their work and their focus on making their clients happy. Only you can decide which contractor is right for you but I would strongly urge you to speak with them. I am confident that you will be pleasantly surprised. 7 Ideabooks for Benchmark Building Services Inc. Commented: What are the white panels made of?Thank you for the question the are 12ml laminated frosted glass.